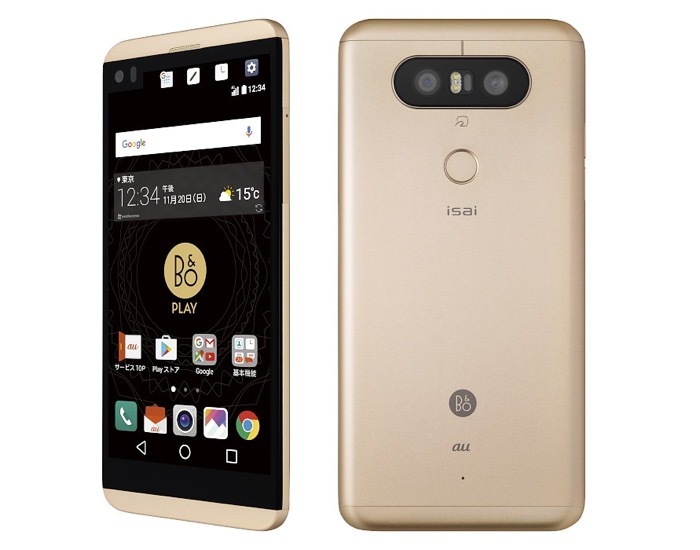 It looks like LG will be launching a new version of their LG V20 handset in Japan, the device is called the LG V34 isai Beat and it will only be available in Japan. The handset is a slightly smaller version of the LG V20 it comes with a 5.2 inch display as opposed to the 5.7 inch display on the V20 and it also come with an IP67 certification for water proofing. The handset comes with a Qualcomm Snapdragon 820 processor and 4GB of RAM, there is also 32gB of storage and it features a 3000 mAh battery. Other specifications on the new LG V34 include a dual camera on the back and Android 7.0 Nougat, the device will be exclusive to carrier AU Japan.